As a board-certified dermatologist, Arsalan Shabbir, MD, PhD specializes in all aspects of medical, surgical, and cosmetic dermatology. He welcomes both new and existing patients to Mohs Surgery & Dermatology Center in Elgin, Illinois. After earning his bachelor’s degree in biochemistry from New York University, Dr. Shabbir completed his Doctor of Medicine degree at the University at Buffalo School of Medicine and Biomedical Sciences (now Jacobs School of Medicine) in upstate New York, where he graduated valedictorian of his medical school class. He earned his PhD from the same institution. To complete his educational requirements, Dr. Shabbir did his residency in dermatology at the University of Miami, which is continuously rated among the top dermatology training programs in the country. He’s board certified in dermatology through the American Board of Dermatology. Dr. Shabbir has an extensive research background and has presented his findings at numerous dermatologic professional meetings. He’s authored over 40 scientific abstracts and articles, which have been published in multiple peer-reviewed medical journals. 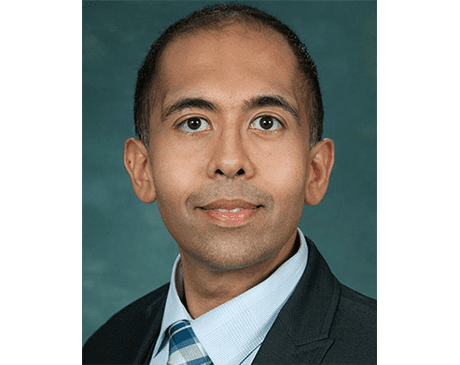 While Dr. Shabbir has been recognized with several clinical and research awards, he was most recently awarded the Everett C. Fox MD Award for Most Outstanding Research by the American Academy of Dermatology. Patients of Dr. Shabbir commend his patient-centered approach to care. He strives to stay on top of the latest treatments, so he can offer comprehensive solutions for each of his patients. Outside the office, Dr. Shabbir enjoys spending time with his wife and children. He likes to travel and stays active by exercising routinely.